Sinclair's tiny, sleek, and very successful 8-bit micro, the lovely 8-bit Sinclair ZX81, is a brilliant machine to collect for, has had some excellent games written for it, still enjoys a vibrant homebrew scene, and -handily- is tiny enough to find its place on any desk. 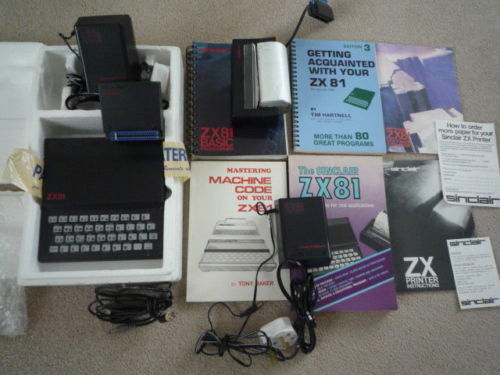 You can grab one complete with everything you might need via this Sinclair ZX81 eBay auction. The computer is in full working condition, comes with the almost necessary 16k RAM expansion, the ZX Printer, power supply, leads, and even the micro's poly inserts. Add the manuals and some excellent books, all you'll need to add to the setup will be a cassette player. Seller ships to the Americas, Europe, Asia, Australia, and New Zealand.